John Carroll is a private, coeducational, Jesuit Catholic university providing programs of study in the liberal arts, sciences, and business at the undergraduate level and in selected areas at the master’s level. For more than 130 years, John Carroll has focused on graduating students with intellect and character in the Jesuit tradition of educational excellence. As a Jesuit Catholic university, John Carroll inspires individuals to excel in learning, leadership, and service in the region and in the world. 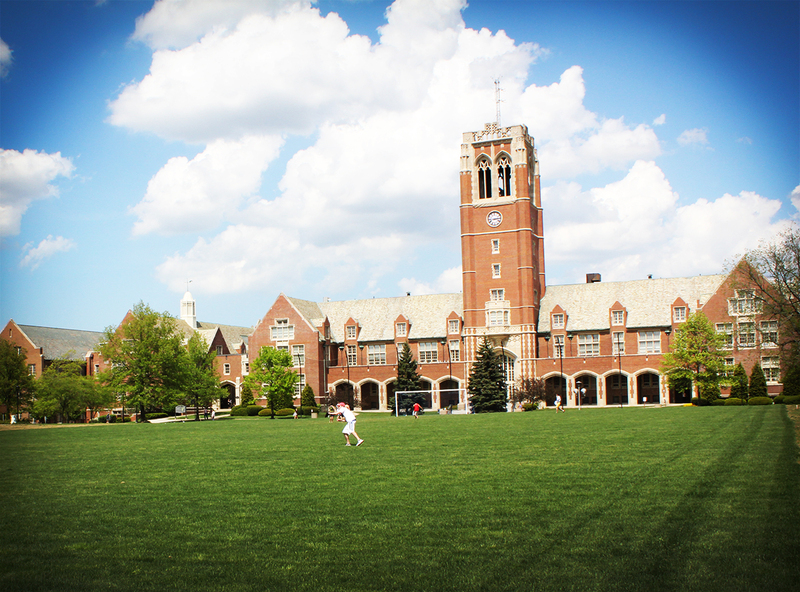 Our 60-acre suburban campus in University Heights, Ohio, is easy to navigate and offers state-of-the-art facilities, including the Dolan Center for Science and Technology and a newly renovated Murphy Hall. However, our close proximity to Downtown Cleveland provides students with opportunities for internships, research, service, recreation, culture, good food, and fun! Admission is selective and focused on maintaining our excellent success rates for student retention and four-year graduation rates. Academically, the University consists of the College of Arts and Sciences and the John M. and Mary Jo Boler School of Business, which both include graduate programs.